Of all surgical wounds, the highest rate of surgical site infection occurs with lower limb amputations.1 Infection complications include rupture of the suture line, cellulitis, delayed healing and further surgery. 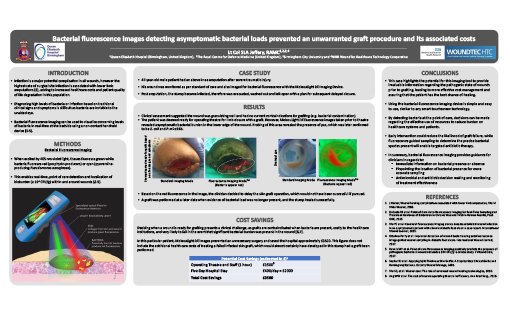 It is vital to aggressively monitor amputation wounds for clinical signs and symptoms of infection. 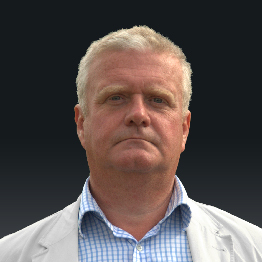 Dr. Jeffery is a consultant plastic surgeon for the Royal Centre for Defence Medicine at the Queen Elizabeth Hospital in Birmingham, UK as well as a consultant in burn surgery at the Birmingham Children's Hospital. Dr. Jeffery is a member of the British Burns Association and lectures frequently on both traumatic injuries incurred by British Forces and pediatric burns. 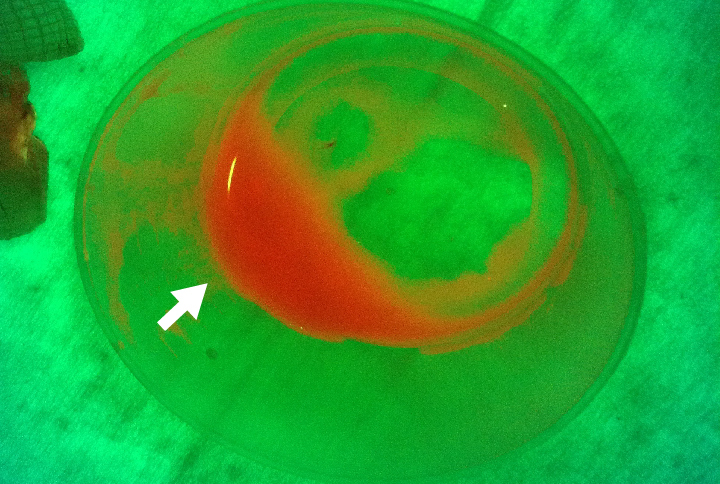 Patient Condition: 47 year old male required an above knee amputation following a traumatic burn injury. Patient reported severe pain and developed an abscess ~6 weeks post-amputation. Patient required a right, above knee amputation after severe burns. The stump later became infected, therefore was evacuated, washed out and left open with a plan for subsequent delayed closure. One week later, clinical assessment suggested the wound was granulating well and had no current contraindications for grafting (e.g. bacterial contamination). The patient was deemed ready for operating theatre for limb closure with a graft. 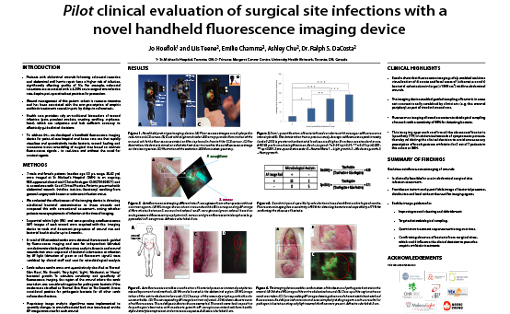 However, MolecuLight i:X fluorescence images taken prior to theatre revealed bacterial burden in the lower edge of the wound. 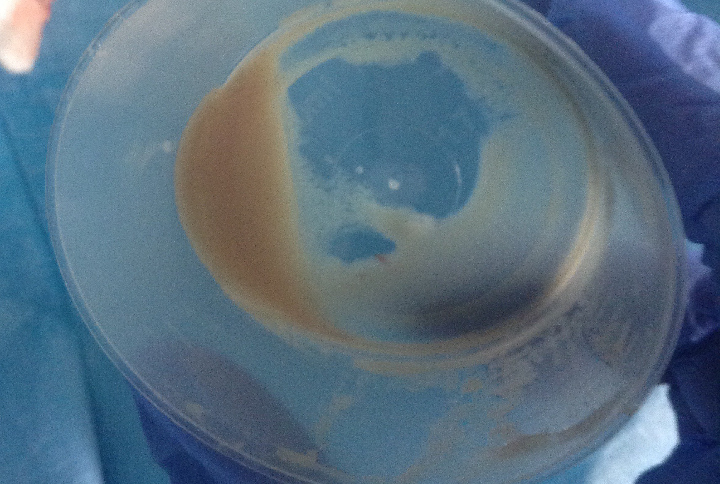 Probing of this area revealed the presence of pus, which was later confirmed to be E. coli and P. mirabilis. 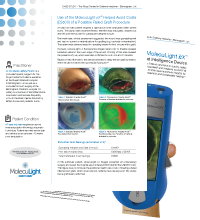 In this particular patient, MolecuLight i:X images prevented an unnecessary surgery and saved the hospital approximately £3500 (€4000 EUR/$5300 CAD). 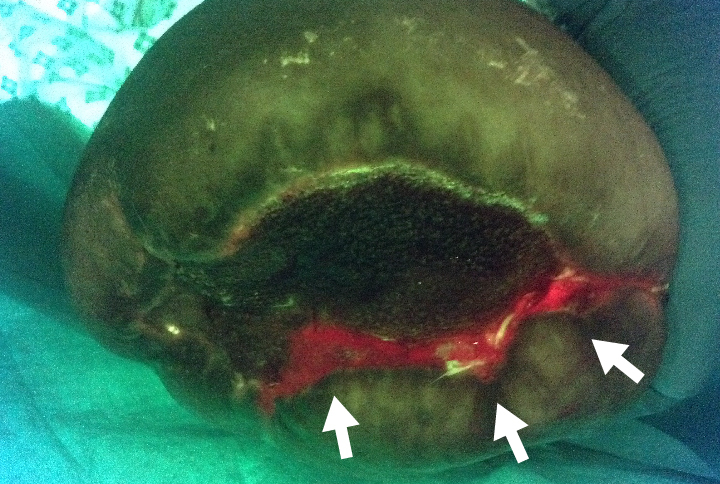 This figure does not include the additional healthcare costs of treating a failed infected skin graft, which would almost certainly have developed in this stump had a graft been performed. Images provided by Lt Col. Steven Jeffery, The Royal Centre for Defence Medicine, Birmingham, UK. Surgical Site Infection Surveillance Service. CDR Weekly 2006; 14(21): 1-5. Communication with Lt Col. Steven Jeffery. Ang WW et al. The cost of trauma operating theatre inefficiency. Ann Med Surg (London). 2016 May; 7: 24–29.